"Relations between the United States and Japan left tremendous room for improvement. ... Riding the winds of conquest, Japan invaded North China in 1937. 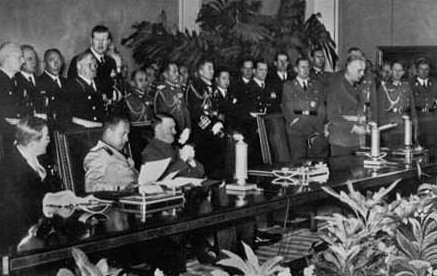 ... Japan turned southward in 1939. On February 10 it took over Hainan Island off the southern coast of China. In March of the same year Japan laid claim to the Spratlys -- coral islands offering potential havens for planes and small naval craft, located on a beautiful navigational fix between Saigon and North Borneo, Manila, and Singapore. plane at the beginning of the attack. "Japanese anger also focused on the embargoes which the United States had slapped on American exports to Japan. By the end of 1940 -- Washington had cut it off from all vital war materials except petroleum. As far back as 1938 the United States had placed Japan under the so-called moral embargo. The termination on January 26, 1940, of the Treaty of Commerce and Navigation of 1911 removed 'the legal obstacle to actual restrictions. Beginning in July 1940, Washington placed all exports of aviation fuel and high-grade scrap iron and steel under federal license and control. In September 1940, after Japanese forces moved into northern Indochina, Roosevelt finally announced an embargo on scrap iron and steel to Japan. Thus, by the end of that year Japan had begun to experience a real pinch and a shadow of genuine fear mingled with its resentment of these discriminatory measures. "Tokyo also had an old bone to pick with Washington -- the immigration policy which excluded Japanese from American shores and refused United States citizenship to those Japanese residents not actually born there. "Above all, Japan considered America's huge naval expansion program aimed directly at it. 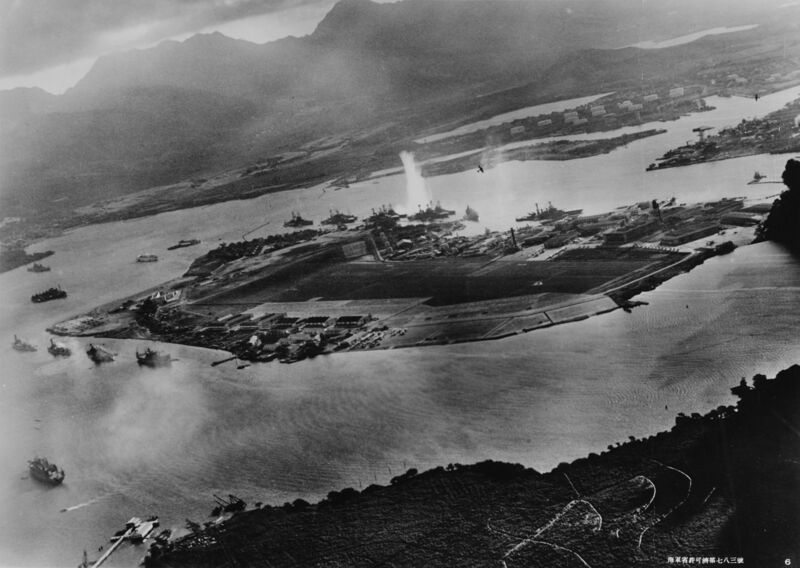 Since the stationing of a large segment of the Fleet at Pearl Harbor in the spring of 1940, the United States Navy had stood athwart Japan's path -- a navy which Japanese admirals thought capable of menacing their nation's very existence."